A versatile writer, poet and disability activist, Penny Pepper guests on radio and TV and writes for the Guardian. Her new professional development programme UP funded by Arts Council England shares her experiences & skills through masterclasses & mentoring. Penny’s The Naked Punk . project launched in February and will continue throughout 2019. Do check out our events page to find an event near you. We represent, support, and collaborate with a diverse range of artists, from all over the world, specialising in everything from prose to poetry and beyond. Based on his new book, God Save the Teen (published by Burning Eye Books), Andrew relates a drama of gob-smackingly embarrassing first dates, imagined rock-n-roll supermarkets, divorce, disillusion, and working-class rebellion. Expect disappearing goths, sadistic PE teachers and a search for the truth and somewhere to belong. Bloomsbury Theatre Saturday 9 February. From the winner of the Forward Prize for Poetry (2014), Kei Miller, comes a magical and haunting novel set in the underbelly of Jamaica. Click here to read a review by Colin Grant. From headless schoolgirls, to talking food and threesomes, pretty much anything can happen in these witty, weird and wonderful short stories by Leone Ross. This new collection is published by Peepal Tree Press. It launches in London on 20 July at LIBRARY. Limited places are available, click here for information. Ranging from flash fiction to intense psychological drama, magical realism, horror and erotica, these strange, clever, frank and sometimes very funny stories can be serious too. Carefully crafted over 15 years, they explore unbounded sexualities, a vision of the fluidity of the person, and politics – from the deaths of black people at the hands of the police, to the deep shifts that signal the subtle changes in the nature of capitalism and much more. These stories may sometimes tickle, sometimes shock; but will always engage both the intellect and the heart. The Jamaican poet James Berry died on 20 June 2017. Berry was a pioneering writer, educator, editor and activist - a wonderful poet whose writing for both adults and children was characterised by compassion, humour and an acute eye for the political and social factors that shaped his life, and the lives of others. Click here to read more. Tobago Crusoe, Alexander D Great, Melanie Abrahams and James Ingham offer a tribute to famed Calypsonian Lord Kitchener through an ensemble version of one of his most popular songs. This video was made for London Is The Place For Me Festival (2014). Read more. Liming patron John Agard mischievously lambasts a very British pastime with his poem 'Put The Kettle On'. Performed at Tilt's London Liming Independence Special at Rich Mix, London in 2012. Our projects combine words, music and visuals to reflect the buzz and mix of contemporary culture. From poetry and spoken word, to book tours and workshops, our esteemed writers respond creatively to themes in society, politics and culture, to develop exciting events that truly resonate. Reflecting the contemporary literature ecology and 21st century working, we are a team of full and part-time producers, curators, and writers dotted about the country. This makes us responsive, clued up to and engaged with local needs, and enthusiastic about literature across a range of regions. Want to book one of our writers for a reading, performance, workshop, residency , or another type of event? Or think you might be the new talent that we seek? 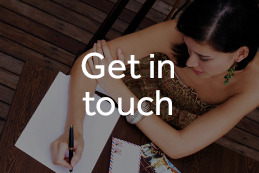 Write to us or give us a call. We're always on the lookout for new people to work with and exciting projects in which to get involved.